April 13, 2016 by Jordan D.M. Laemmle’s Anniversary Classics presents one of the most iconic romances in movie history, BREAKFAST AT TIFFANY’S (1961), with a 55th anniversary screening as a birthday celebration for its beloved star, Audrey Hepburn, and a tribute to her unique collaboration with the legendary composer Henry Mancini. Besides the image of Hepburn in that famous black Givenchy dress, the most enduring legacy of the movie is the song “Moon River,” composed by Mancini for Hepburn, and a “melody of a lifetime.” Henry Mancini’s widow, Ginny Mancini, and daughter, singer Monica Mancini, will participate in a Q&A before the screening, moderated by LAFCA President Stephen Farber. BREAKFAST AT TIFFANY’S was adapted from a popular Truman Capote novella and brought to the screen by director Blake Edwards and writer George Axelrod, with considerable alterations to the story about a flighty call girl from the country aspiring to the high life in New York City. Capote had envisioned Marilyn Monroe in the role, but it was Audrey Hepburn who immortalized Holly Golightly for the screen. Henry Mancini, who had a smash hit with his music for Edwards’ television series, Peter Gunn, provided the Oscar and Grammy-winning soundtrack that accompanied her romantic adventures. TIFFANY’S was a box office hit, and was nominated for five Academy Awards, including Hepburn as best actress and best screenplay. Mancini wrote one of the most popular songs of the twentieth century, “Moon River,” with frequent partner lyricist Johnny Mercer, and the pair won an Oscar (double-winner Mancini also won for his score). Hepburn had inspired Mancini for his most famous melody, and TIFFANY’S was the first of four collaborations for them, with CHARADE, TWO FOR THE ROAD, and WAIT UNTIL DARK to follow in the 60s; they remained lifelong friends. BREAKFAST AT TIFFANY’S, also starring George Peppard, Patricia Neal, Mickey Rooney, and Buddy Ebsen, will screen on Wednesday, May 4, 2016 at the Ahyra Fine Arts theater in Beverly Hills. So join us as we celebrate Audrey Hepburn’s birthday and the creative bond she shared with her “huckleberry friend,” Henry Mancini. Tickets are on sale now. 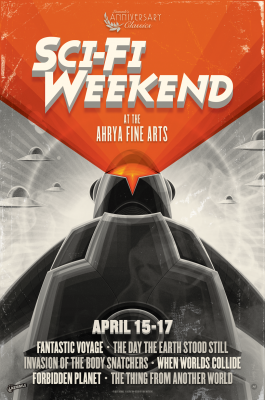 March 25, 2016 by Benjamin G.
Re-visit the Golden Age of the Science Fiction Film as Laemmle Theatres and the Anniversary Classics Series presents SCI-FI WEEKEND, a festival of six classic films April 15-17 at the Ahrya Fine Arts in Beverly Hills. 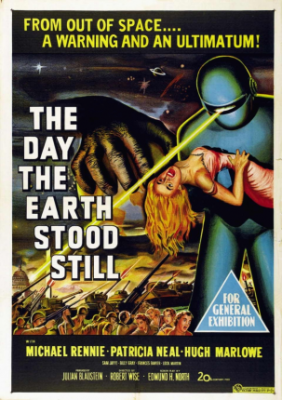 It was dawn of the Atomic Age and the Cold War, as Communist and nuclear war paranoia swept onto the nation’s movie screens to both terrify and entertain the American public. All the favorite icons are here: Robby the Robot from FORBIDDEN PLANET, the pod people from INVASION OF THE BODY SNATCHERS, the blood-seeking creature from THE THING FROM ANOTHER WORLD, and so much more. We’re celebrating Oscar season with screenings of two Academy Award powerhouses in our continuing Anniversary Classics Series. First, we offer a 55th anniversary screening of LA DOLCE VITA, one of the most influential of foreign films, and the recipient of 4 Academy Award nominations in 1961 – Best Director and Original Screenplay for Federico Fellini, Art Direction and Costume Design (an Oscar winner for Piero Gherardi). Fellini’s sardonic take on the decadence of Rome in the 1960s reverberated throughout modern film history, and heavily influenced the 2013 Oscar foreign-language winner THE GREAT BEAUTY. So cruise along the Via Veneto with Marcello Mastroianni, then take a dip in the Trevi Fountain with the voluptuous Anita Ekberg, and see it all at the sleekly elegant, newly re-opened Monica Film Center! LA DOLCE VITA will screen on Tuesday, February 16 at 7:30 PM at the Monica Film Center in Santa Monica. Tickets on sale now at laemmle.com/ac. Next, we look back 50 years to celebrate one of the most provocative films in cinema history – WHO’S AFRAID OF VIRGINIA WOOLF? (1966). The film adaptation of playwright Edward Albee’s scathing dissection of a marriage was brought to the screen with most of its graphic dialogue intact due to the relaxation of the censorious Production Code in its fading, final gasp. VIRGINIA WOOLF garnered a near-record 13 nominations including Best Picture and Best Director for tyro film director Mike Nichols, winning 5 Oscars including Elizabeth Taylor (Best Actress) and Sandy Dennis (Supporting Actress). The rest of the 4 character cast were also nominated: Richard Burton (Best Actor) and our special guest, George Segal (Supporting Actor) who will join us for a Q & A after the screening. We are also presenting this screening as a tribute to the late Haskell Wexler who died late last year at the age of 93. Wexler won his first Oscar for filming VIRGINIA WOOLF in glorious black and white, an art form endangered by the mid-sixties. WHO’S AFRAID OF VIRGINIA WOOLF? with special guest George Segal will screen on Tuesday, February 23 at 7:00 PM at the Royal Theater in West LA. Tickets are on sale now at laemmle.com/ac. Join the conversation in our Anniversary Classics Facebook Group. January 8, 2016 by Jordan D.M. If you haven’t been keeping up with our Anniversary Classics Series, you’ve been missing out! Last week’s screening of YOUNG CASSIDY honoring legendary film editor Anne V. Coates was a prime example of how film history lives and breathes. The youthful 90-year old Coates passed on the wisdom of her more than sixty year career (and still going strong!) to an appreciative audience of admirers. More importantly, it demonstrated how vibrant industry veterans can be in our youth obsessed culture and film industry. Now there’s another chance to celebrate film history and those witness to it with our tribute to the late Maureen O’Hara in our 65th anniversary screening of John Ford’s RIO GRANDE. 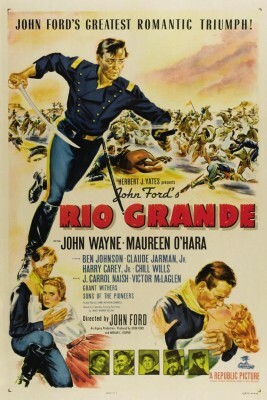 In today’s L.A. Times, Kenneth Turan wrote, “John Ford is the acknowledged master of the western, and his Cavalry trilogy one of the highpoints of his career, but “Rio Grande” the third film of the group (after “Fort Apache” and “She Wore a Yellow Ribbon”) is not revived as often as the other two. 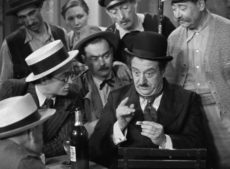 “Now, in honor of its 65th anniversary, the 1950 film will get a big screen appearance on Tuesday at 7 p.m. at Laemmle’s Royal in West Los Angeles, a location that is sure to flatter the picture’s expansive Monument Valley setting. More than that, costar Claude Jarman will make an appearance and participate in a Q&A after the screening. Los Angeles Film Critics Association President Stephen Farber will moderate the Q&A with Mr. Jarman. Our Anniversary Classics Series closed out 2015 in grand fashion with a sold out 35th anniversary screening of SOMEWHERE IN TIME at the Royal on 12/15. This romantic fantasy cast its spell once again to an appreciative crowd, many of whom had not seen their favorite on the big screen since its original opening in 1980. Through the years it has developed a cult following and after viewing again last night its easy to see why. 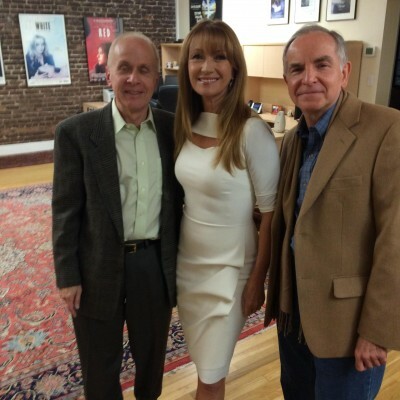 Jane Seymour with Michael McClellan and Stephen Farber at the 35th anniversary screening of SOMEWHERE IN TIME. The film’s co-star Jane Seymour and director Jeannot Szwarc entertained the audience with remembrances about making the film and even a few heretofore unknown secrets. Some fans came dressed in period costumes so altogether it was quite a memorable evening! We will have many more memorable screenings in 2016, and to start the new year off we feature the 50th anniversary of John Ford’s YOUNG CASSIDY, starring Rod Taylor, Maggie Smith and Julie Christie. Our special guest is the film’s Oscar-winning editor, Anne V. Coates, the recipient this year of a lifetime achievement award by the Los Angeles Film Critics Association. This screening takes place on January 6, 2016 at 7:00 pm at the Royal in West LA. More about this and other Anniversary Classics events for 2016 very soon. For the latest updates visit www.laemmle.com/ac or join our Facebook group! Happy Holidays! November 4, 2015 by Jordan D.M. The terrific fine arts blog arts•meme, published by longtime dance critic Debra Levine, gave our Anniversary Classics screening of SPARTACUS a nice plug last week. We’re showing it this Friday night November 6th at 7:30 in the Royal’s big auditorium on the same day that Trumbo opens in theaters. (We open it a bit later.) 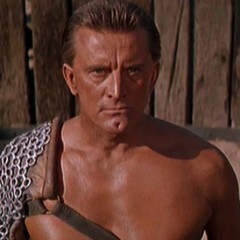 The new film celebrates the life of Dalton Trumbo, and with this 55th anniversary screening of their Oscar-winning film we pay our own tribute to the blacklisted screenwriter, as well as actor-producer Kirk Douglas and director Stanley Kubrick. The picture, adapted from Howard Fast’s novel about a slave revolt in ancient Rome, is generally regarded as “the best-paced and most slyly entertaining of all the decadent-ancient-Rome spectacular films,” as critic Pauline Kael wrote. 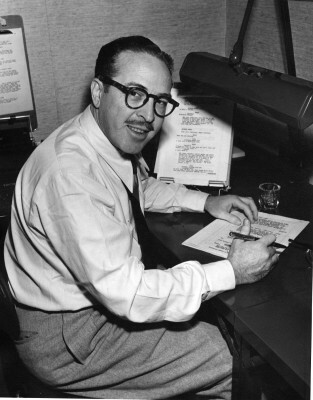 Douglas bravely decided to break the blacklist by allowing Trumbo to use his own name on the screenplay for the first time in more than a decade. The all-star cast includes Laurence Olivier, Charles Laughton, Jean Simmons, Tony Curtis, Woody Strode, and Peter Ustinov, who won the Academy Award for best supporting actor for his droll performance as a sycophantic slave dealer. (The film also won Oscars for cinematography, art direction, and costume design.) See this grand, thrilling sand-and-sandals epic—a precursor of Ridley Scott’s Oscar-winning Gladiator—on the big screen, in a brand new restoration. Anniversary Classics: Actress Blythe Danner In-Person After THE GREAT SANTINI on 10/27 at the Royal! Plus, a Pre-Halloween Double Feature 10/30 at the Fine Arts. October 19, 2015 by Benjamin G.
After celebrating the 65th anniversary of ALL ABOUT EVE this past Tuesday, we look ahead to the two remaining Anniversary Classics events on the October calendar! 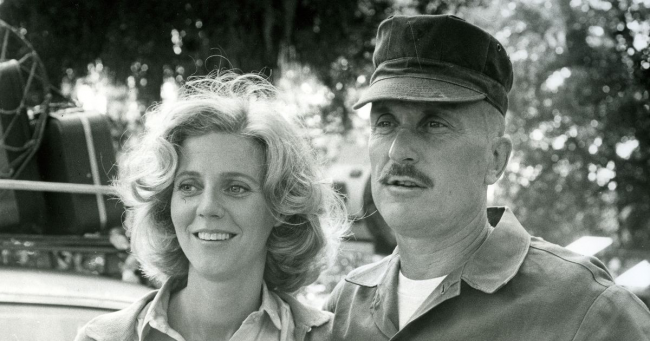 Next up is the 35th anniversary of the Oscar-nominated drama THE GREAT SANTINI (1980), with special guest Blythe Danner, who played the long-suffering wife of domineering Marine pilot and Oscar nominee Robert Duvall. Danner received some of the best notices of her career this past summer for I’LL SEE YOU IN MY DREAMS, a performance which is being touted for year-end awards consideration. Join us for THE GREAT SANTINI and a conversation with Blythe Danner on Tuesday, October 27th at the Royal in West LA at 7:00 pm. Then don’t forget our special Halloween program on Friday, October 30th – a retro double feature of the 80th anniversary of THE BRIDE OF FRANKENSTEIN (1935), one of the great horror classics, paired with bonus feature ABBOTT AND COSTELLO MEET FRANKENSTEIN (1948), a scary and very funny vintage horror-comedy. Both features are from the vaults of Universal studios and to complete our trip into yesteryear are being presented at the beautifully restored and newly re-opened Ahrya Fine Arts in Beverly Hills. The classic double bill (yes, two for the price of one!) begins at 7:30 on the 30th. Tickets are now on sale for both events and can be purchased online at www.laemmle.com/ac. See you soon at the Anniversary Classics series! September 24, 2015 by Benjamin G.
Michael York and Richard Chamberlain will participate in a Q&A moderated by LA Film Critics Association President Stephen Farber following the 40th anniversary screening of THE FOUR MUSKETEERS on Tuesday, 9/29 at the Laemmle Royal in West LA. Purchase your tickets in advance here. For more information about our Anniversary Classics series, visit http://www.laemmle.com/ac.